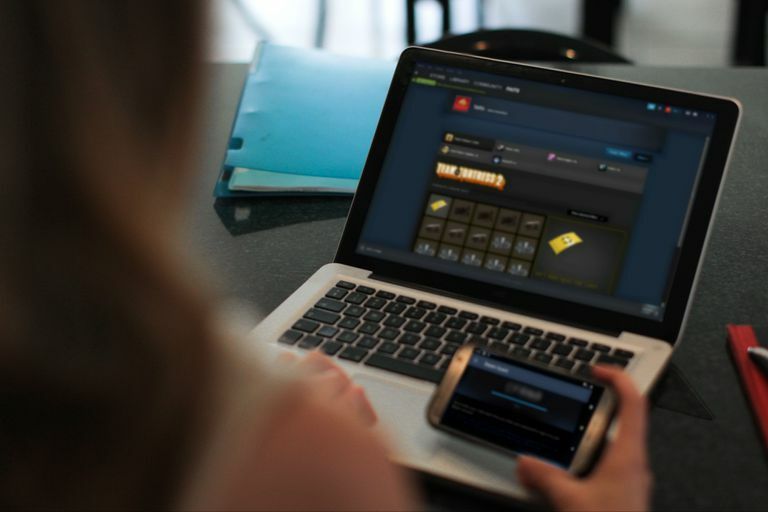 Steam is a digital storefront for games on Windows, MacOS, and Linux that also allows you to play games with your friends online. Your Steam account also has an associated inventory that can contain both in-game items, like skins and weapons and unredeemed copies of full games. With your Steam Trade URL in hand, you can trade these inventory items with friends, strangers, and even third-party trading sites. What is a Steam Trade URL? A Steam Trade URL is a unique link that people can use to view your Steam inventory and sent trade requests. You control access to this link, and you also control whether or not anyone can see your inventory. For a Steam Trade URL to work, you first need to change your Steam privacy settings so that other people can see your inventory. You can set your inventory to private, which prevents anyone from seeing it or to friends only. If you want strangers, and third-party trading websites, to be able to use your Steam Trade URL, you need to change your Steam privacy settings to allow the public to view your inventory and send trade requests. Is It Safe to Give Out Your Steam Trade URL? Giving out your Steam Trade URL is perfectly safe. Allowing the general public to view your Steam inventory lets them see what you own and send trade requests, but you can deny or ignore any that seem unfair or make you feel uncomfortable. Before you give out your Steam Trade URL, you may want to secure your Steam account with Steam Guard. There is a small chance that someone might see something they want in your Steam inventory, and then try to steal your account to obtain the item without trading. With Steam Guard in effect, nobody will be able to steal your account just by guessing or phishing your password. Before you can obtain and send out your Steam Trade URL, you have to enable Steam trade requests. It's a simple process that involves changing your Steam privacy settings to allow the public to view your Steam inventory. Open Steam, or navigate to steamcommunity.com. The steamcommunity.com website is functionally identical to the Steam app, so you can use whichever one you prefer. Click or tap your username, then click or tap Profile in the dropdown menu. Click or tap the Edit Profile button. Click or tap My Privacy Settings. Set your Inventory privacy to Public by clicking or tapping where it says Inventory: Private or Inventory: Friends Only and changing it to Inventory: Public. If this page already says Inventory: Public, you don't need to change anything. With your Steam inventory available for public viewing, you'll be able to access your Steam trade URL. Once you have made your Steam inventory available to the public, you're ready to find and give out your Steam Trade URL. You can locate it in the Inventory section of the Steam app or Steam Community website. Click or tap your username, then click or tap Inventory in the dropdown menu. Click or tap Trade Offers. Click or tap Who can see my Trade Offers? You will find your Steam Trade URL in the Third-Party Sites section. Highlight the trade URL, and press CTRL+C, or right-click and select Copy from the context menu. If you provide this URL to an individual or a third-party trading site, they will be able to see your inventory and send trade requests. Carefully review incoming trade requests, especially if they come from Steam users or sites you don't recognize. If you no longer wish to receive trade requests from any third-party sites or individuals that have your Steam Trade URL, click Create New URL to disable the old URL and make a new one. If you're done using third-party trading websites, or you're just tired of receiving unsolicited trade requests, you can prevent those requests and hide your inventory at any time. This process is the reverse of the one you used to enable Steam trade requests in the first place. In the Inventory section, click or tap Public. Click or tap Friends Only or Private. Your Steam inventory is now private. Even if people have your Steam Trade URL, they won't be able to see your inventory or send trade requests.